When millions of soldiers and thousands of tanks clashed on the fronts of World War II, an even more dramatic battle was being fought above the blood soaked earth. All across the globe, heroic allied pilots desperately tried to gain air dominance. 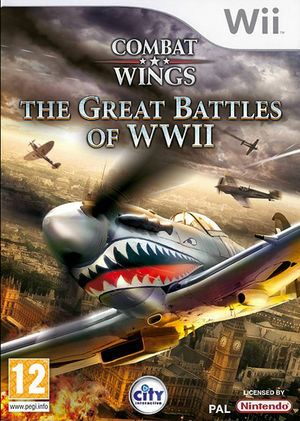 In Combat Wings: The Great Battles of WWII defend Great Britain against the German Luftwaffe, take part in the monumental efforts of the Red Army on the east, or exact revenge on the Japanese air forces as an American pilot over the Pacific. Stay focused, as split-seconds decide victory or death. The graph below charts the compatibility with Combat Wings: The Great Battles of WWII since Dolphin's 2.0 release, listing revisions only where a compatibility change occurred.